The H-System secures galvanic isolation between the intrinsically safe field signals and secures safe side signals of the control systems. 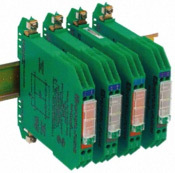 The K-System offers an intrinsic safety interface modules designed for signals, applications, isolators and modules. The K-System also offers a frequency converter with a single channel for pulse. 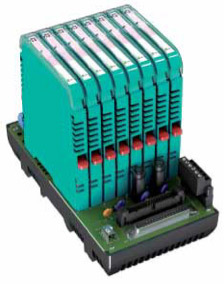 DIN rail power supplies convert a 120VAC or 240VAC input to 24VDC, and can be used with a combination of power feed modules. These combinations provide a versatile, simple way of wiring and reduces wiring costs. Zener barriers are cost saving and provide Ex-protection for various applications in process automation systems. 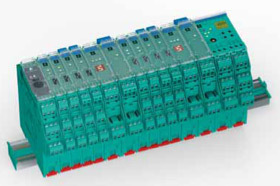 Zener barriers is DIN-Rail mounted or grounded.